You are here: Home » Style » Denim Jeans, a Yes or No for the Modern Gentleman? This is a question without a simple answer. Seasonally speaking, jeans come and go as fashion does. It is not rare to find jeans on the red carpet some years, and more or less shunned during others. Currently, it is perfectly acceptable for women to appear in high profile events sporting denim. 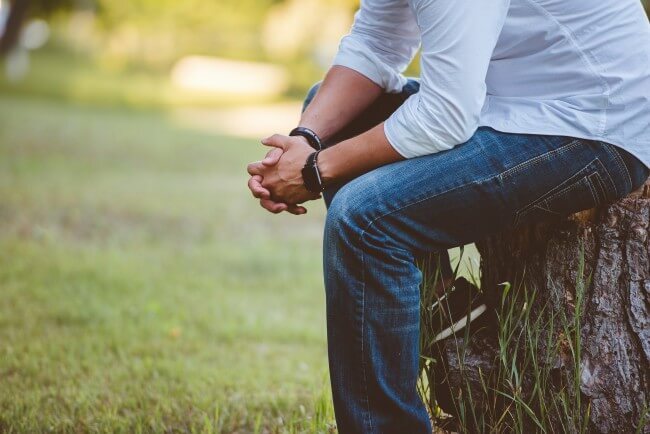 Though this demonstrates that jeans still have a place on the high end of the fashion spectrum, it does little to explain whether it is a do or don’t for the modern gentleman. The answer is that jeans are both a yes and a no. There is no single style of jeans, some are perfectly suited for certain events, while others are not. A solid fashion sense and good taste are absolutely necessary for the gentleman wishing to sport denim at a formal affair. With that said, there are some simple rules to follow if you are considering this fashion avenue. You also need to stay on top of trends. What is acceptable today may not be tomorrow and vice-versa. Check up on what is trending and you will get a better idea of what you can get away with. As a typical rule, skinny jeans and jeans with holes are not suitable wear for a true gentleman. 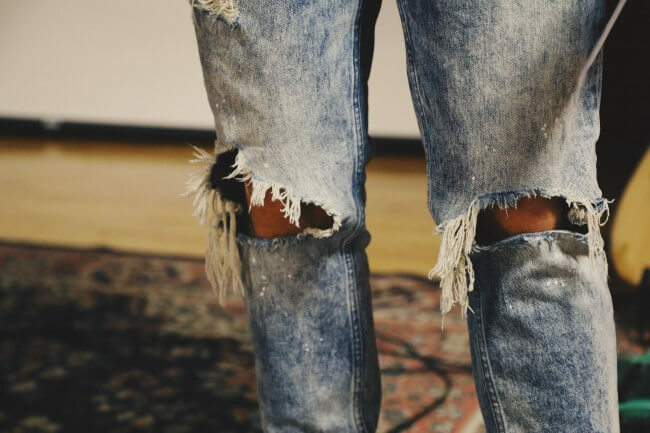 Distressed jeans, those with tears or holes, should not be worn. There are some rare exceptions, but most of those have to do with pairing the jeans up with an $800 scarf so you make sure people don’t mistake you for a vagrant. Sticking with the skinny jeans thing, this is an opportunity to demonstrate the variables in fashion. Skinny jeans are popular for a number of reasons; many men find them flattering or see them being worn by musicians/artists. This is a common style, but it is not necessarily “stylish”. A gentleman needs to both exude maturity and a fashion sense. Skinny jeans fail on both of those fronts. It is important you do not mistake popularity for good fashion -in many ways doing so only takes away from your perception as an independent and mature man. Slim fit jeans are an acceptable middle ground for someone who likes the look of skinny jeans, but requires a more mature look. A pair of black jeans falls into this niche as well – suitable in specific circumstances. A counterexample to all that is the “James Dean” look. 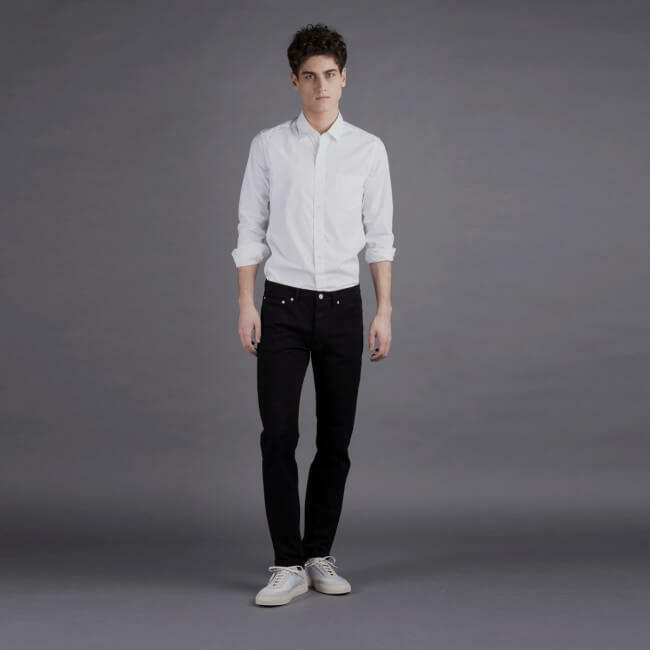 A relaxed pair of jeans and a fitted top has been an acceptable and reasonably stylish option for men since the 1950’s. It doesn’t look like you are trying to emulate an indie bassist, and it does a good job of accentuating certain masculine features. You wouldn’t wear it to a gala, but it is a perfectly reasonable choice for the gentlemen going about his daily business. Colors, cuts and fits will also shift in their popularity, but as long as you stick to the basic concept of a relaxed and clean look you can generally get away with a good pair of jeans in most of your daily activities. Please wear a belt. So, should a modern gentleman wear jeans? Yes, if he can pull it off. They require a certain head for fashion and an idea of what trends are in. Simply throwing on some denim and heading out the door is not going to be a winning combination, just as it wouldn’t be for wool or suede or anything else. You must pick your fashion battles, and if jeans are where you choose to make your stand, do your best to make sure it isn’t just a hill to die on. Do some research and get some opinions from those around you.